Can Business and Capitalism Co-Exist? Suppliers listened to me aghast with horror when I revealed, three years ago, that our clients would like them to calculate their carbon footprint, declare their target, and commit to a 50 per cent reduction in two years with a formal plan to achieve it. “CSR what? Not another quality standard,” they cried. Dismay is a familiar reaction in our supply chain, as wholesalers are pressured to reflect the standards and philosophies of our clients. Nobody escapes. AS caterers, we provide sustenance and services which meet fundamental needs of daily functioning. Our decisions do shape the food chain and reflect all of societies’ celebrations and ills. We are the architects of our nation and can be proud of and uncomfortable with all that we have created within it. Alluring goals of exotic travel, sophisticated consumer goods and ‘Stepford’ houses have distracted consumers from their basic needs/ Hospitality is left to keep house and entice customers’ homes with interpretations of distant gourmand sensations. London imports 80 per cent of its ingredient requirements, 60 per cent of which come from overseas. As a leading global financial city, it is little surprise that London caters of the most diverse range of taste and premium expectation in the world. Corporations recognise their role in sustaining future generations and are reaching out to address the imbalance of excess. HSBC and BSkyB, amongst many, clamour to claim the moral high ground with their Corporate Social Responsibility (CSR) programmes. So what does that mean for us? Jaded in our oratory efforts to encourage our suppliers to embrace CSR, procurement sourcing company Partners in Purchasing Ltd. Conducted an audit across the wholesale catering supply chain, by inviting 150 companies to take part and declare their compliance with their own environmental and ethical statements. Responses were offered from a wide range of suppliers. Many of the larger suppliers did not complete the questionnaire but instead sent hard copies of their CSR policies and strategies or provided links to their websites, where the information could be downloaded. Many companies stated that though they had not finalised their CSR policies, they were “on the agenda” and “were developing strategies and initiatives”. Those that had fully developed strategies tended to fall into one of two camps; large multi-national companies with highly developed policies and strategies, or new-start-up companies where a sound CSR policy/strategy was central to their company ethos. Despite the positive progress on developing CSR policies, more than 50 per cent of companies have yet to seek or gain accreditation from a recognised body. 69 per cent of respondents stated that they would like assistance in developing their CSR policies and strategies. Over 90 per cent of respondents realise that the source of their products is a key factor in the development of their business and CSR policies. Progress on changing or identifying more ethical sources of supply reflects their developmental stage in sourcing. 33 per cent of respondents are developing initiatives and a further 33 per cent have a strong programme of activity in this area. 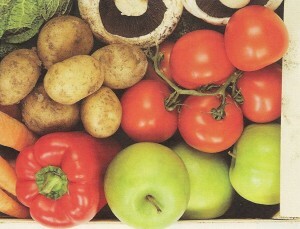 The supply of organic produce is receiving considerable coverage in the press at present. Despite this emphasis, the prevalence of organic produce available is extremely restricted. Suppliers appeared to be finding it difficult to source organic produce. 36 per cent of suppliers indicate that relevant organic producers have been identified. Of the companies stating they have identified organic producers, 43 per cent said that these products are available to all customers as part of the main product list. A second area of major concern with customers relates to local sourcing. Many suppliers are making changes to their supply chain by identifying local producers. Major progress has been made in this area by many of the beverage suppliers. On the whole, greengrocers, butchers and fishmongers are endeavouring to source their products from local producers, growers of farmers. Respondents providing non-applicable responses tended to be wine merchants or those supplying disposable and cleaning materials. Generally the provision of Fairtrade products was less evident from suppliers. About half have stocks of Fairtrade products. Two main suppliers, Nestle Waters Powwow and R-Oil, stated that more than 75 of their products have strong Fairtrade offers. 16 suppliers who responded here identified suitable producers or have established a product range. Lavazza Coffee stated that they would not support Fairtrade because they regard it as discriminatory. They support an alternative scheme that funded the whole community rather than one preferred producer/grower. 63 per cent of respondents stated that they had initiatives to identify and stock Fairtrade products. 3663 First for Foodservice demonstrated the most entrenched commitment to CSR. It has worked through and environmental programme for the last 10 years and in doing so has achieved the corporate Environmental Management Standard ISO 14001 at 41 of its offices and depots. Cost is the most significant barrier. 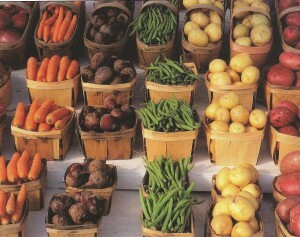 While a small but influential group of transient and self conscious trend setters are motivated to afford iconic food labels associated with environmental and charitable practices, such as Soil Association, Organic, Freed Food, Fairtrade, Marine Conservation Council, Red Tractor and Buy British, the majority of the nation still looks upon food as a fuel. Our chef heroes have moved from stimulating our salivary glands, or sharpening up our commercial skills, to the animal rights campaign. There lies another great distraction. In a world where human preservation is on the agenda, sustainability is a polite word for survival. The questions encompassing the reduction of global warming are too vast for any one individual to contemplate, so issues of husbandry are easier to manage. Realisation for caterers that free range chicken will only be available when farmers have sufficient viable return on their present $6000 per acre, £500,000 plant and materials investment and six-month to five-year incubation programme, is slow. As guardians or custodians of our industry, it is down to us to educate our stakeholders. We haven’t had the opportunity to advance too many account managers who are skilled in delivering bad news during the past 10 years of accelerated growth. Comfort will arrive in the security that we can reliably resort back to our favourite national sport – moaning. This is not the moment to give up. Organisations that do shift to ethically sourced products, whether they are badged, or from anonymous communities, will reap loyalty from the effort and responsible nature of their investment. Harrison Catering Services has built its business over 20 years based on good old-fashioned, fresh and high quality ingredients with on-site preparation and it has sailed through past troubles that exposed school lunchtime favourite, turkey twizzlers, as high in fat and sugar. Food Standard Guidelines have barely touched its commercial development, as good nutrition and community based sourcing is a given with that formula.